Catholics have challenged in Supreme Court the decision of two federally ruled territories to cancel traditional Good Friday holiday, making it restricted holiday. The administrations in the western Indian territories of Dadra and Nagar Haveli, and Daman and Diu have moved Good Friday from the list of public holidays to restricted holidays when staff have an option to take a day off or work. Lay leader Anthony Francisco Duarte from Moti Daman in Daman, has filed a public interest writ petition in the Bombay High Court to challenge the notifications issued by the administration. The petition is likely to come up for the hearing tomorrow, Indian bishops’ conference secretary general Bishop Theodore Mascarenhas said in a statement, seeking prayers. Restricted holiday would mean all public institutions including schools and colleges have to necessarily remain open on April 19, this year’s Good Friday. 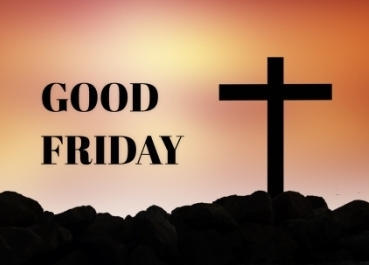 The Christian community these territories “are pained and anguished by the cancellation of a holiday on Good Friday which is held sacred by them,” the Bishop Mascarenhas said. Christian sacred days have been holidays in the two territories for centuries since they were part of Portuguese India in the 16th century. That continued even after India ended colonial rule and annexed the territories in 1961. Centuries ago Christians dominated the tiny enclaves on the coast of present-day Gujarat state, but Hindus form the majority of the 600,000 people living there now.